Japan's central bank is holding its fire on additional stimulus measures -- for now. On Wednesday, the Bank of Japan decided to keep policies unchanged after a two-day meeting. But economists are expecting the central bank to expand its ambitious stimulus program by the end of October. "While the Bank of Japan's policy statement provided no clear indications that additional stimulus is imminent, we retain our forecast that policymakers will step up the pace of easing by the end of the month," said Marcel Theliant of Capital Economics. The focus is now pivoting to Oct. 30, when the central bank will reconvene. There is a strong case for the bank to act -- economic growth is flagging, wage growth is lackluster and inflation remains far below the government's 2% target. In fact, Japan is teetering on the edge of recession. The central bank itself said in a statement that Japan's exports and production have been affected by a slowdown in emerging economies. 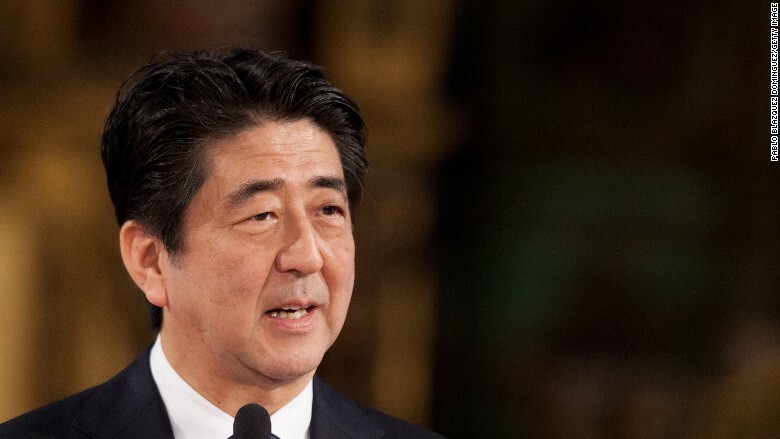 All this is increasing pressure on Prime Minister Shinzo Abe, who is fighting an uphill battle to revive Japan's economy after decades of stagnation. His plan, nicknamed "Abenomics," includes monetary stimulus, increased government spending and significant structural economic reforms.